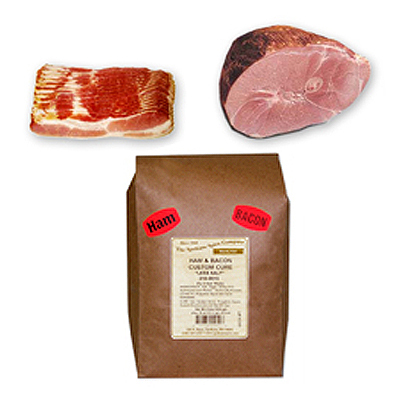 A pre-mixed, pre-measured package of seasonings, flavorings and cure that will make four (4) gallons of brine for curing hams and bacon. This blend is slightly less salty than our regular Custom Cure Blend. Complete instructions with each bag.